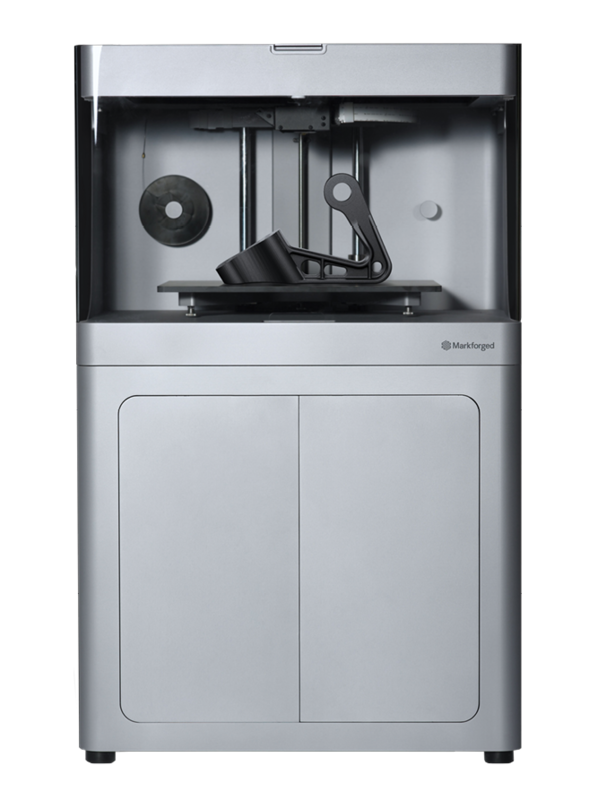 As a current Desktop printer customer, Markforged is offering a limited-time discount on the large-scale Industrial Composite product line that delivers exceptional accuracy, reliability and repeatability. You’re already printing some of the strongest parts in the industry with your Markforged Desktop 3D printer. As your partner in manufacturing innovation, Markforged is making it easier to invest in your manufacturing and beat out your competition. The Industrial Series Composite 3D printers combine Markforged's unique composite reinforcement technology with the scale and strength required for industrial applications. You’ll get more accuracy, finer resolution, and automatic bed leveling with the same accessibility of the Desktop printer.